*The temporary promotions are not combinable with the standard one. Koiné – Italian Language Centre in Rome is located at just 300mt from the Colosseum and 10 minutes from Termini Station. Also, it is between two metro stops (San Giovanni & Manzoni) and close many bus stops. 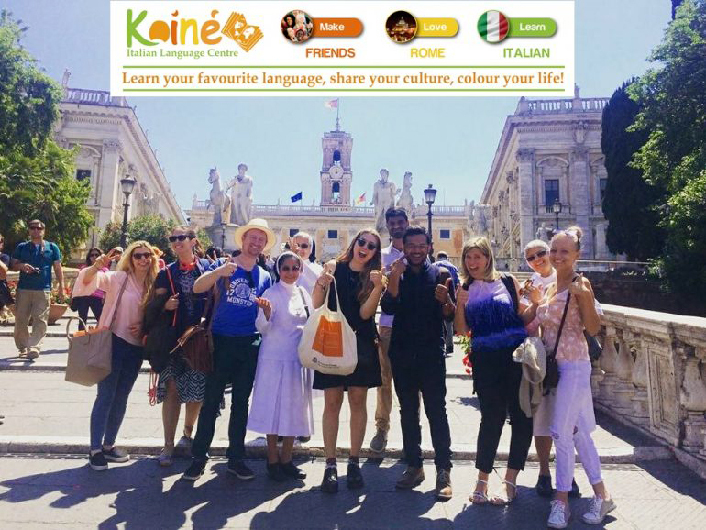 The School offers DITALS training, TEFL training, Italian and other language courses, tours of Rome, cineforum, italian cooking courses, multi-linguistic events where our Italian and foreign students enjoy together the local life and exchange their favourite languages. – Total immersion in the Language from the beginning, through real communicative situation, which immediately make our students able to interact with the new context in which they work, live and have fun!